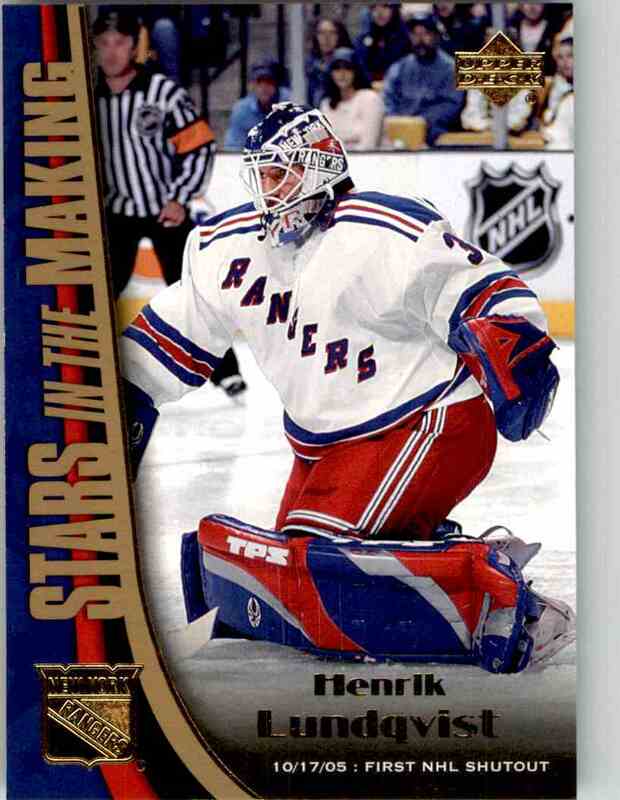 This is a Hockey trading card of Henrik Lundqvist, New York Rangers. 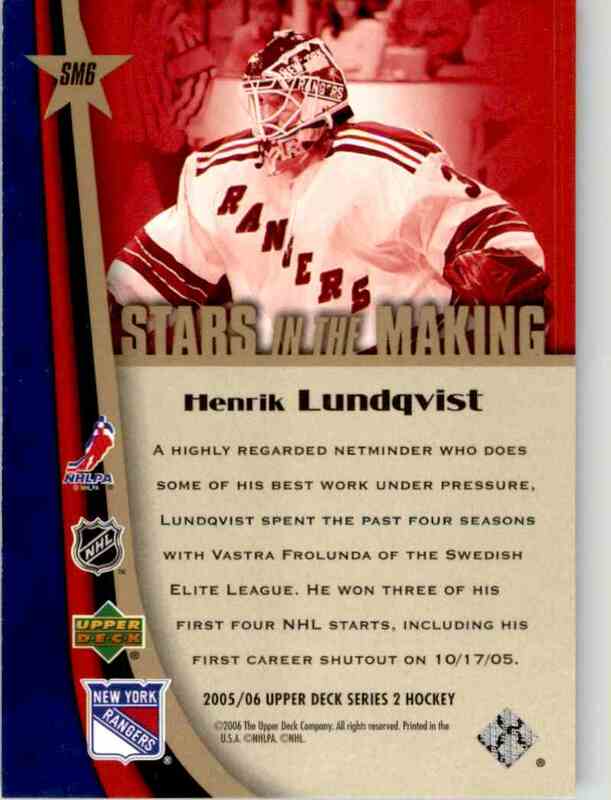 It comes from the 2005-06 Upper Deck Stars In The Making set, card number SM6. It is for sale at a price of $ 20.00.